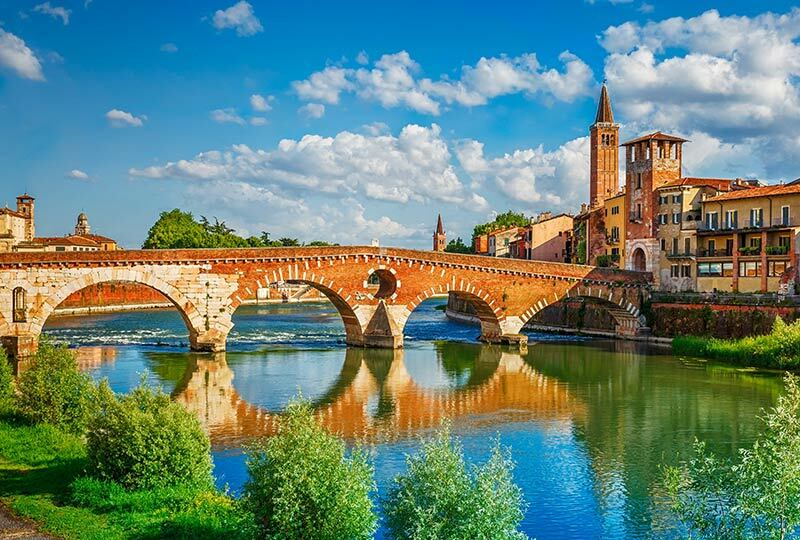 Join musicologist Rosamund Bartlett for two weeks of Italian opera, visiting three renowned opera festivals which thrill summertime audiences in the delightful towns of Verona, Pesaro and Torre del Lago. Begin in Verona, where one of the world’s best-preserved Ancient Roman amphitheatres provides the centrepiece for an extraordinary summer festival of opera and classical music, including performances of La traviata with Plácido Domingo, Aida in a recreation of its 1913 staging, and the powerful, passionate Tosca. Continue to the Rossini Opera Festival in the composer’s birthplace of Pesaro, where an energetic collaboration between performers, historians and musicologists brings new dynamism to the great composer’s works. Conclude in the town of Torre del Lago, near Pisa, in Tuscany, where the Puccini Festival presents lavish productions of the composer’s operas in the massive Gran Teatro Puccini, nearby to the villa where the composer created some of his best-loved works. Delight in a performance of Le Villi, Puccini’s first stage work, and conclude with the composer’s spectacular final opera, Turandot. Enjoy among the best seats in the house for sumptuous opera performances, and indulge the palate in fine Italian food and wine in the gastronomic heartland of Italy. Depart Australia or New Zealand in the evening on suggested Qatar Airways flights to Milan via Doha. Renaissance Tours or you travel agent can assist you with your flights and other travel arrangements. Arrive in Milan in the afternoon on suggested flights and make your own way to the hotel. This evening join Rosamund and fellow travellers for a welcome briefing and a special dinner at a local restaurant. In the morning, depart the hotel to Lake Garda, the largest lake in Italy. Known for its crystal clear water, it is surrounded by hills and mountains that create its fjord-like shape. Enjoy lunch at a restaurant near the lake. Following lunch, continue your journey to Verona. Check into the hotel in the late afternoon and enjoy the rest of the evening at leisure. Begin the day with a talk by Rosamund on the coming days’ performances. Then explore the historic city of Verona on a guided walking tour, including its Roman and Mediaeval architecture. The crown jewel of the city is the magnificent Verona Arena, an amphitheatre dating to the 1st century AD when Verona was one of the great cities of Roman North Italy. Once the venue for gladiatorial battles, the arena now plays host to magnificent operas and concerts in the summer season. Also see the elegant gardens of the 16th century Palazzo Giusti. One of the finest Renaissance gardens in Italy, the garden consists of a parterre and a series of terraces rising up the hill, laid out in geometric fashion. After lunch, the afternoon is at leisure to continue your exploration of Verona at your own pace. 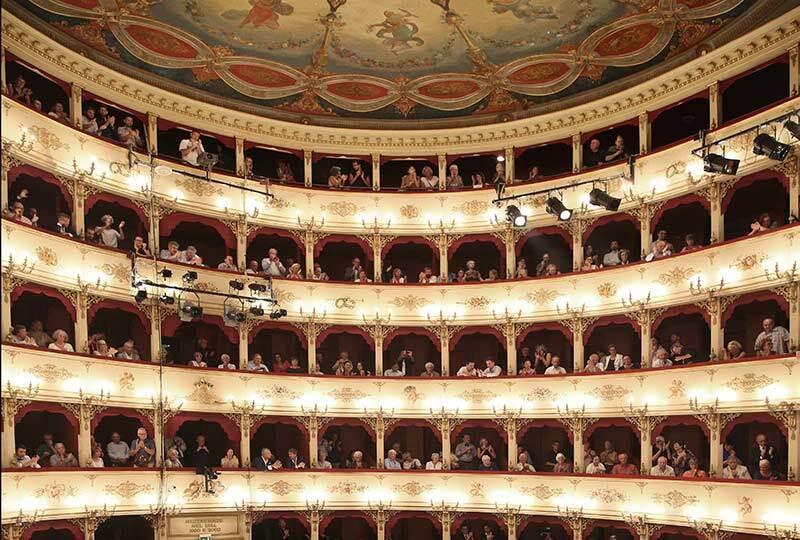 In the evening, attend a performance of Verdi’s La traviata at the Verona Arena. In a new staging of one of the world’s most loved operas, international operatic superstar Plácido Domingo sings the role of the proud Giorgio Germont, father of the lovestruck Alfredo. 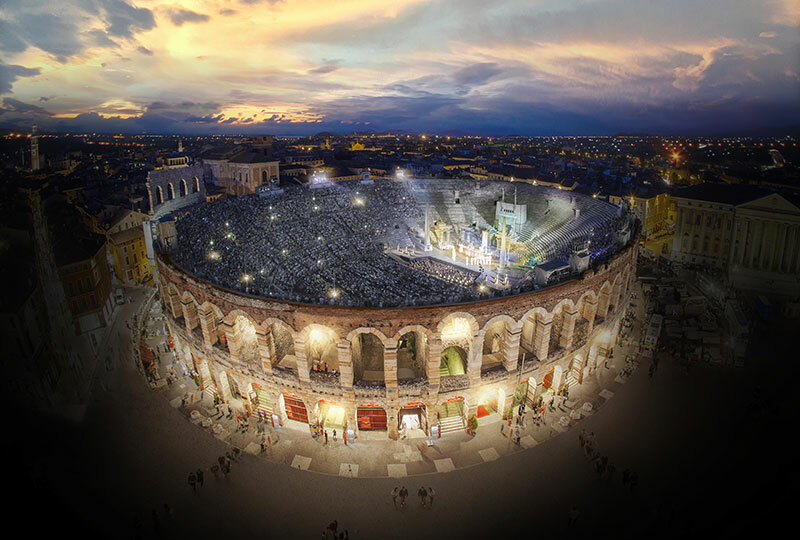 The 1st century AD Verona Arena had its debut as an opera venue in 1913, on the centenary of Giuseppe Verdi’s birth, and in the ensuing decades it was often used for staging great spectacles of Italian opera. In 1936 the annual Verona Arena Festival was established, and the Festival has witnessed performances by many of the greatest singers of the 20th and 21st centuries, including Beniamino Gigli, Maria Callas, Renata Tebaldi, Plácido Domingo and Luciano Pavarotti to name but a few. No less spectacular is the staging, which in past performances has taken advantage of the scale of the venue by, for example, creating an artificial lake to represent the Nile, introducing elephants, horses and camels onstage for a triumphal procession, or performing in the shadow of a gigantic replica of Rome’s Castel Sant’Angelo. Seating up to 15,000 spectators, the Verona Arena is the largest opera venue in the world, and witnessing an opera performed here is one of the world’s great operatic experiences. In the morning, travel to the west of the Veneto Region to the viticultural estate of the Serègo Alighieri family, descendants of the poet Dante Alighieri. 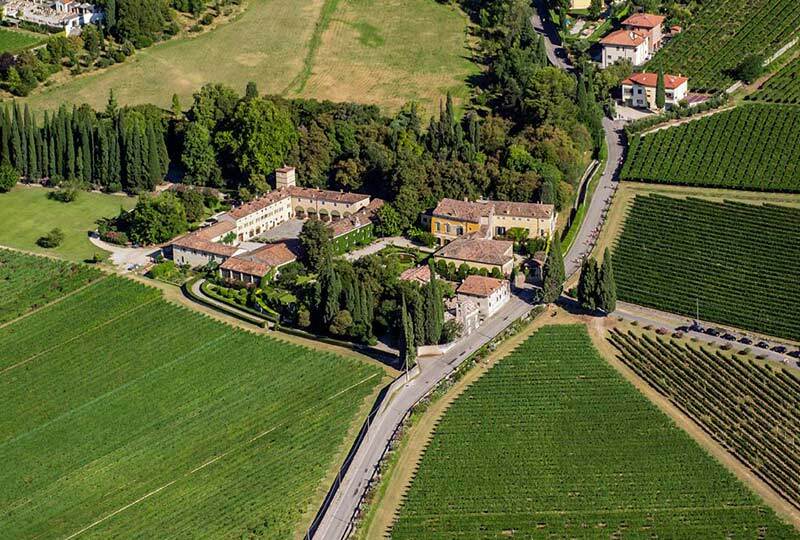 The estate dates back to 1353, when Dante’s son Pietro established his home on the site, and in the ensuing centuries it was planted with vineyards and elegant gardens surrounding the historic buildings. In the latter decades of the 20th century, the estate was instrumental in developing the Amarone wine variety, a rich, deep, complex Venetian red wine. Enjoy a tour of the winery followed by lunch. Return to Verona in the afternoon. In the evening, enjoy a sumptuous performance of Verdi’s Aida Edizione Storica 1913 at the Verona Arena, recreating the 1913 staging and costuming in which the opera was first presented at the Arena. The historic 1913 staging, a celebration of the 100th anniversary of the composer’s birth, was itself inspired by the opera’s premiere in Cairo in 1871, and draws heavily on the Egyptian iconography which so suffuses both the narrative and the compositional history of the work. In the morning, enjoy a talk by Rosamund on this evening’s performance. The rest of the day is at leisure. Why not take the opportunity to wander through the streets of Verona, do a little shopping in the market in the Piazza delle Erbe and then take lunch in one of the city’s many fine restaurants? In the evening, return to the Verona Arena for a performance of Tosca under the direction of Argentine Hugo de Ana. In a revival of his production first presented in 2006, de Ana utilises the Arena’s grand scale to create a spectacle of impressive and passionate theatricality, including set design and costuming so rich that they led Italian critics to enthuse that it was “un’opera da ascoltare con gli occhi” (“an opera to listen to with your eyes”). Check out of the hotel in the morning and travel south into the gastronomic heartland of Italy. Stop for lunch in Modena, a city made famous by its rich balsamic vinegar, created from a carefully-aged concoction of crushed and heated grape seeds and skins. After lunch, continue to the coastal town of Pesaro in the region of Le Marche. 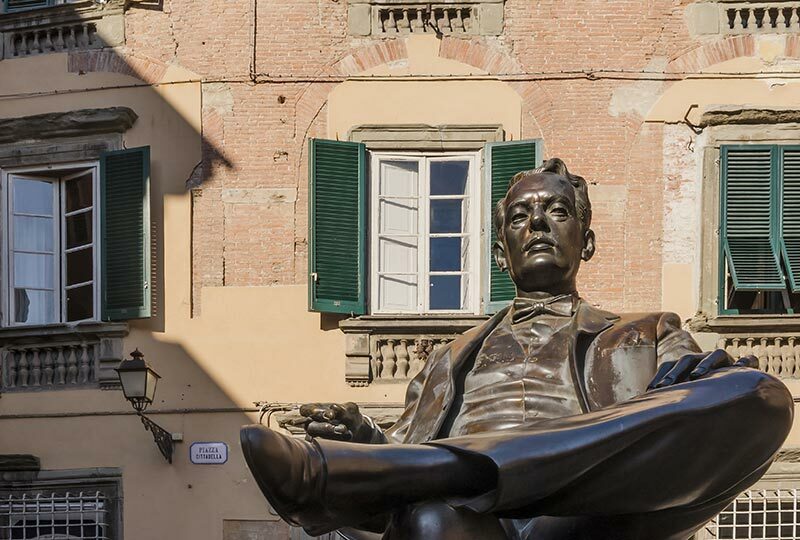 Facing out towards the Adriatic Sea, Pesaro was the birthplace of prolific composer Gioachino Rossini, and in summertime the town celebrates its native son by staging his operas in the exuberant Rossini Opera Festival. Check in to the hotel in the late afternoon, followed by an evening at leisure. After a morning talk by Rosamund, set out on an orientation tour of Pesaro. 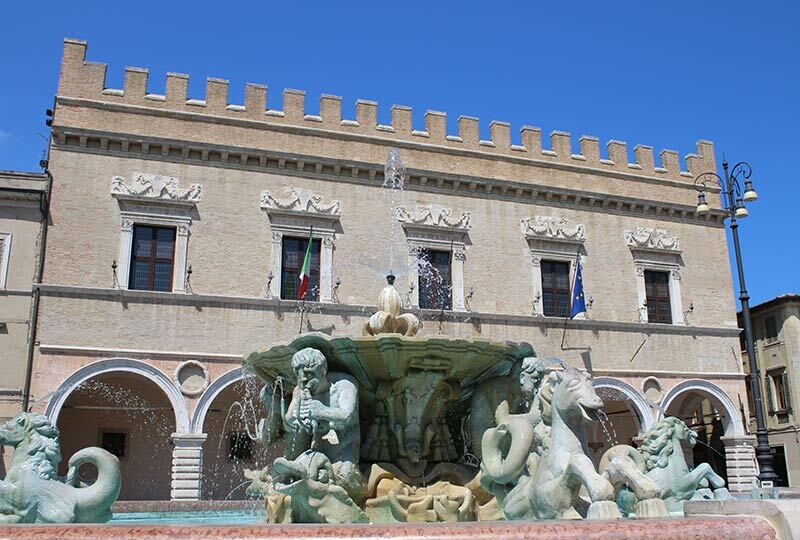 Visit the Palazzo Ducale di Pesaro, commissioned by the mercenary captain Alessandro Sforza in the late 15th century after he was granted the Lordship of Pesaro. See the Rocca Costanza degli Sforza, an imposing square castle built by Alessandro’s son Costanzo I Sforza to consolidate his dominion over the region. Also visit the birthplace of Rossini, an elegant four-storey building in central Pesaro where, as the plaque has it, on 29 February 1792 “la divina arte della musica arrise in questa stanza” (“the divine art of music smiled upon this room”). Lunch is at a local restaurant, followed by an afternoon at leisure. In the evening, attend the rarely performed Demetrio e Polibio by Vincenzina Viganò Mombelli from stage director Davide Livermore with the support of the Opéra Royal de Wallonie’s musical director in Liège, Paolo Arrivabeni, conducting the two-act operatic dramma serio by Gioachino Rossini. Begun in 1980, the Rossini Opera Festival was founded to celebrate the works of Gioachino Rossini in his native town, bringing together artists, scholars and historians for two weeks every August. Recognising that Rossini’s prolific catalogue of 40 operas had been reduced to about half a dozen in common performance elsewhere, the Festival took as its mission the revival of some of the composer’s less-commonly performed, but equally enchanting works. Past festivals have included the likes of Adina, Ricciardo e Zoraide, Le siège de Corinthe and Il turco in Italia alongside favourites such as Il viaggio a Reims, L’italiana in Algeri and Il barbiere di Siviglia. The venues for the Festival include both the vast 13,000-seat Adriatic Arena and the historic Teatro Rossini, which was inaugurated in 1818 with a performance of La gazza ladra (The Thieving Magpie) by Rossini himself. This morning, travel to the hinterland of Le Marche to explore the impressive Palazzo Ducale d’Urbino, the seat of the Montefeltro dynasty, the Dukes of Urbino. 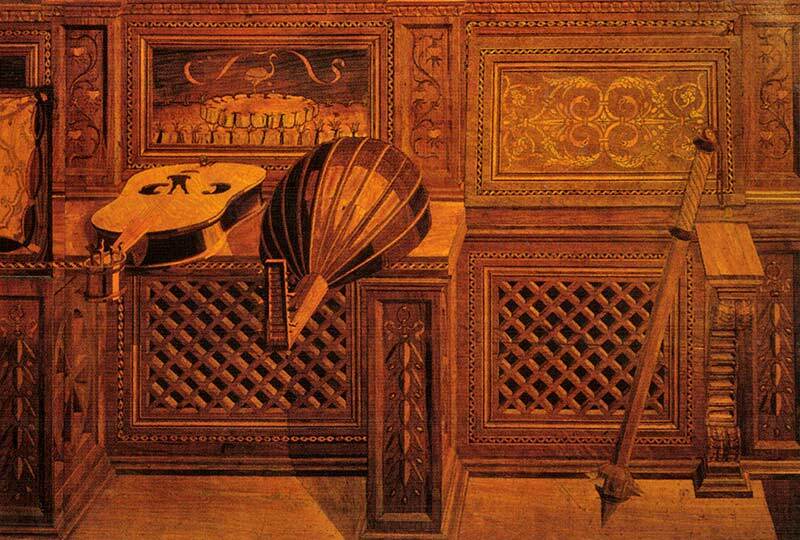 The 15th century palazzo houses one of the world’s greatest collections of Renaissance art, containing works by Raffaello, Tiziano, Paolo Uccello and Piero della Francesca. It also boasts twin chapels to God and the Muses, and a studiolo (study room) decorated with some of the finest examples of Italian wood inlay work. Enjoy lunch at a local restaurant in Urbino and then return to Pesaro in the afternoon. In the evening, attend a performance of L’equivoco Stravagante, by Gaetano Gasbarri with Moshe Leiser and Patrice Caurier making their debuts in Pesaro with one of the world’s foremost operatic conductors, Carlo Rizzi. 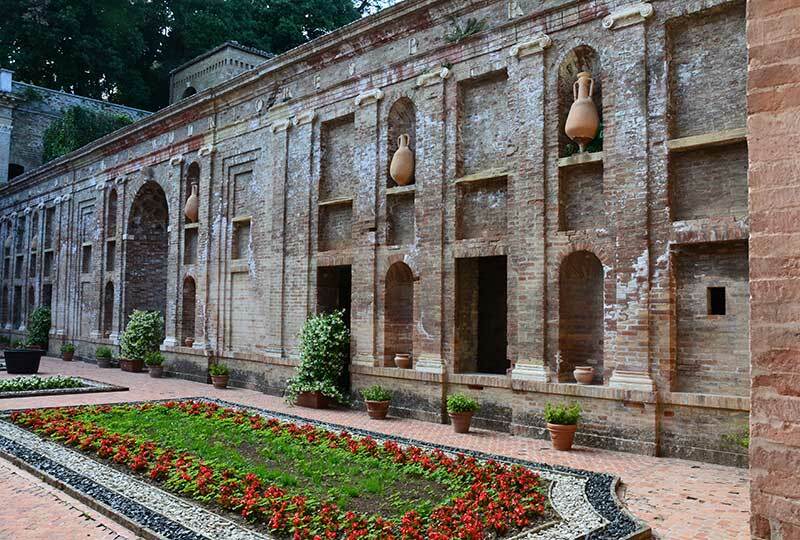 Enjoy a morning talk by Rosamund on this evening’s performance, and then visit the Villa Imperiale di Pesaro, a palatial villa in the suburbs of Pesaro commissioned in the early 16th century by the Della Rovere family. Under the Sforzas, the building had been a defensive castle, but the Della Roveres recast it as a pleasure palace, surrounded by orderly Renaissance-style gardens, with interiors designed by the scholar-cardinal Pietro Bembo. The villa is adorned with several Mannerist frescos by the likes of Bronzino, Dosso Dossi, Francesco Menzocchi and Raffaellino del Colle. Lunch and the afternoon are at leisure to continue your exploration of Pesaro at your own pace. In the evening, return to the Adriatic Arena for a performance of Semiramide, by Gaetano Rossi with internationally recognised opera luminary Graham Vick directing the performance and musical director of the Teatro Comunale di Bologna Michele Mariotti conducting. Check out of the hotel in the morning and travel to Pisa on the western side of Italy, travelling across the Appenines that run down the spine of the country through charming hillside villages and vineyards. Stop en route for lunch in Arezzo, a Tuscan city famous for its Renaissance art, stunning streets and famous film locations seen from Roberto Benigni’s Oscar-winning film La Vita è Bella. After lunch, continue your journey to Pisa and check in to the hotel in the late afternoon. Dinner tonight is at the hotel. Begin the day with a morning talk by Rosamund on tonight’s performance before embarking on a guided tour of Pisa visiting Campo dei Miracoli and Orto Botanico. One of the great maritime republics of the Middle Ages, the wealth delivered by its extensive Mediterranean trading network still shines forth today in the UNESCO World Heritage-listed Campo dei Miracoli (Field of Miracles), perhaps the most compact and perfect square in Italy. 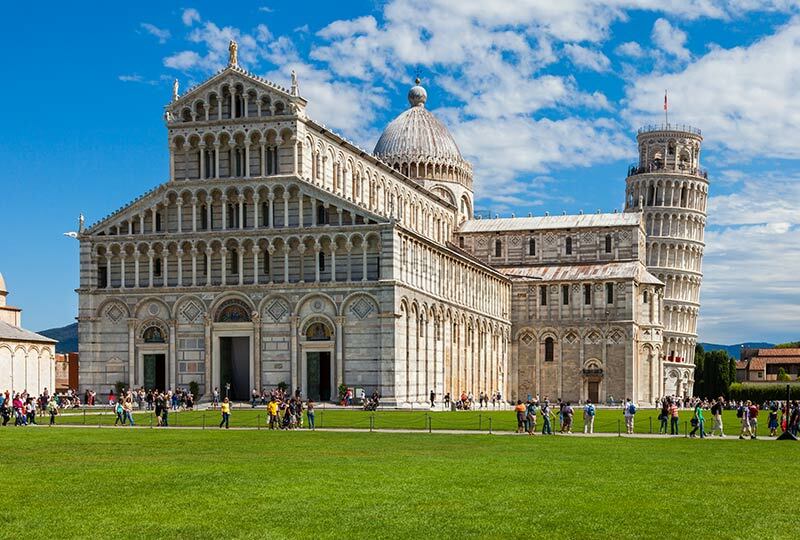 See the majestic white marble Pisa Cathedral, the Baptistery of St John, and the unintentionally-precarious belltower, the famous Torre Pendente (Leaning Tower), at last stabilised after many centuries of subsurface rectification works. Following the tour, return to the hotel and enjoy the rest of the afternoon at leisure. Then, visit the Villa Puccini Museum in the nearby town of Torre del Lago, the house in which the great musician and composer Giacomo Puccini lived from 1900 to 1921, composing many of his famous operas. Enjoy a guided tour of the beautiful and tranquil residence located by the shores of Lake Massaciuccoli designed by Giuseppe Puccinelli. After, enjoy dinner at a local restaurant before attending this evening’s performance of Le Villi at the Gran Teatro Puccini commencing at 9:15pm. Le Villi was the first work Puccini composed for the stage, for an opera competition which he entered in 1883 at the age of 25. Showing sparks of the operatic genius that he would grow to become, Le Villi is based on the Slavic myth of the Vila, beautiful, blue-clad mountain nymphs who lured young men to dance with them in the forest. Held in the town of Torre del Lago, on the outskirts of Pisa, the Puccini Festival presents the great operas of Puccini in the very town in which they were composed. 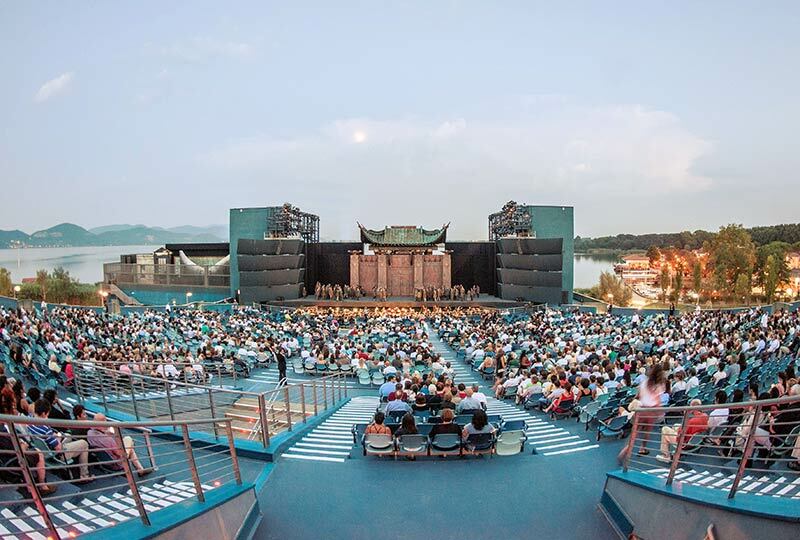 The open-air Gran Teatro Puccini accommodates almost 3,200 spectators in a site overlooking the lake for which the town was named, and the gentle warmth of a Tuscan summer evening provides a setting as magical as Puccini’s music. Celebrating the genius of the great composer, the Festival presents works from throughout Puccini’s career, including both his early, less-commonly performed pieces and the operatic favourites of his later years. This morning, visit the nearby city of Lucca, for almost 650 years a small, independent republic before being absorbed within the Grand Duchy of Tuscany and later the Kingdom of Italy in the 19th century. See the house in which Puccini was born on 22 December 1858. Now a museum dedicated to the composer, the house still contains the Steinway grand piano on which he composed many of his works, including Turandot. 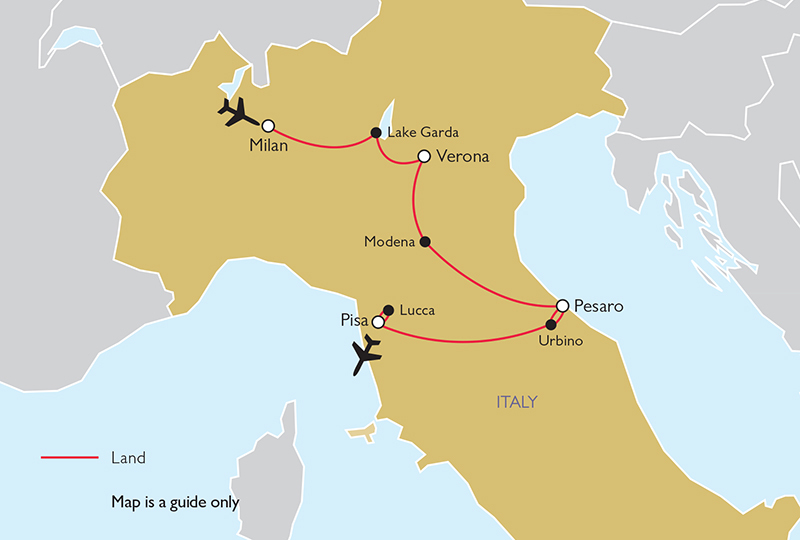 Enjoy a special farewell lunch with Rosamund and fellow travellers in Lucca, and then return to Pisa in the afternoon. The rest of the afternoon is at leisure. 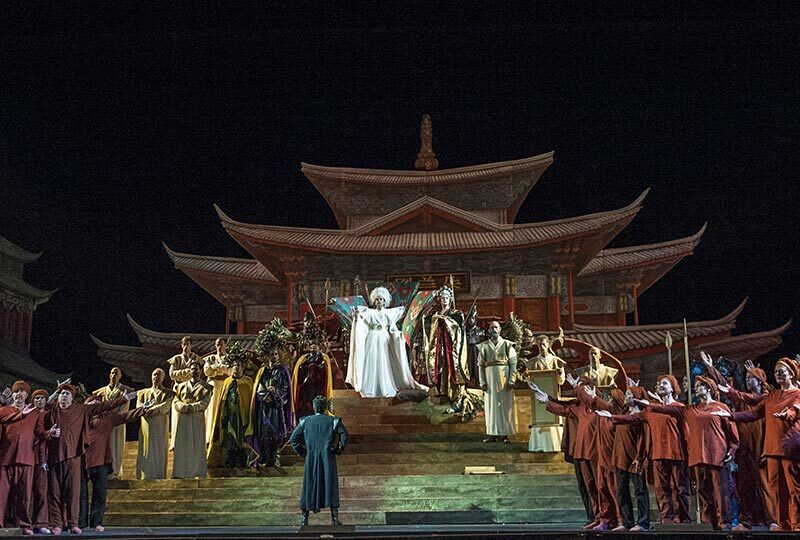 In the evening, cap off your fortnight of glorious Italian opera with a performance of Puccini’s magnificent final opera, Turandot, a work in which his musical grandeur reaches its fullest expression. Check out of the hotel and make your way to Pisa Airport for suggested afternoon flights to Australia or New Zealand on Qatar Airways via Doha. Renaissance Tours or your travel agent can assist you with your flights and other travel arrangements, including any additional nights’ accommodation, either before or after the tour. Australian and New Zealand passport holders do not require a visa to visit Italy.